Bainbridge Yama is the first-ever non-Japanese whiskey to be aged exclusively in hand-crafted barrels made from rare Mizunara oak harvested from the Japanese island of Hokkaido. Tell me more…Ok, will do. So, then, I found out it was Whiskey Advocate Magazine’s 2016 whiskey of the year. Say what? How did I not hear about this? I tried unsuccessfully, 5 different times to purchase it on the secondary market and missed out each time. Definitely a bummer. With that, here’s what I tried, in 2017, that’s hard to find (but can be found). Jim Murray anointed it the 2017 Whiskey of the Year. I concur. It blew my mind. Booker’s, in general, is a favorite of mine. The Rye took it to a whole other level. The right amount of spice. A wonderful finish. And, a killer color. Just about everything you want in a whiskey. Who or what is Garryana? It’s short for Quercus garryana, a species of oak native to the Pacific Northwest, where Westland Distillery is based. While American oak barrels are traditionally formed form Quercus alba, a species of oak common to the midwest, Westland, as you might have guessed, aged part of this limited edition release of its single malt whiskey in so-called Garry oak, where it spent three years slumbering before hitting the bottle. Intriguing, right? I don’t have a better way to describe it, other than, funky. It’s incredibly unique and unlike anything, I’ve ever sampled. I’m a big fan of Ichiro Akuto and his whiskey. I’ve yet to have a bad one. My first introduction to Ichiro was his “Chichibu The First.” For such a young whiskey it was full of flavor and complexity. This year I tried On The Way and Port Pipe. They couldn’t be more different and yet, both, awesome. Port Pipe is rich, flavorful and almost sweet. On The Way is assertive, layered and warm. It is described by Crooked Water as a two-year old bourbon that was finished for over six months in a used port barrel imported from Portugal from a 100+ year winery. I always applaud distilleries that can create or extract flavor from young whiskeys. Crooked Water nailed it with the Kings Point bourbon. I read about the hype. I read more about the hype. Finally, I broke down and took a flyer on a bottle. Initially, I was not a fan. It was not my cup of tea, I felt. But, After 3 or 4 glasses over a month, I became a fan. While not the best whiskey I’ve ever had, it’s very good and has an incredibly distinct taste. The boys in Texas really know what they’re doing. There’s a lot of great whiskey out there. If you look hard enough you may find a sought-after gem. 2 years ago, after starting a journey that I didn’t even realize I was taking, I developed a list of 10 whiskeys to try. Since then, I’ve personally tasted nearly 100 distinct and unique whiskeys, in 4 different countries and more than a dozen states. I’ve found whiskeys that are just not for me, but I know would be great for others and then I’ve come across whiskeys that I’ve absolutely fell fallen in love with. What a trip it’s been! In adding 10 more whiskeys to the original list of 10 whiskeys to try, I wanted to keep with the same basic principles. You should be able to easily buy this bottle online or at a store. If you can’t buy the bottle, any solid whiskey bar, should have it. The cost should equal good value. That doesn’t mean the cost will be cheap, but in thinking about overall taste and/or experience, the cost should be in-line. I’m not choosing a specific bottling year. Keep in mind taste does change subtly in different vintages. Where possible, I’m avoiding large mainstream recommendations. With that out of the way, here’s 10 more whiskeys to try. Westland Sherry Wood: Sherry finishing has become a thing, again, thanks to Yamazaki’s offering being named the 2014 best whiskey in the world, by Jim Murray. This is a young whiskey. Roughly 3 years old. Usually young whiskeys are raw, untamed and lacking a smooth finish. Sherry helps manage that issue. This is such a great whiskey. You get a wonderful flavor, a beautiful color and a nice finish. A bottle will run you ~$85.00 and a glas ~$16.00. The Hakushu 12: I don’t normally go for peated whiskeys. They’re just not my cup of tea. I don’t like the smoke. The Hakushu 12 changed my point of view. You get smoke, but you also get sweetness and spice. It’s a flavor conundrum, but oh so pleasant. At $75 a bottle and $14 a glass, this is a solid value and is sure to please all palettes. Nikka Coffey Grain: They also offer the Nikka Coffey Malt. They couldn’t be more different. Make sure you know what you’re buying. I don’t recall what prompted me to buy my first bottle of Nikka Coffey Grain, but I’m glad I did. It’s probably become one of my top 5 favorite whiskeys. There’s nothing bad about it. It’s rich in color, has a wonderful nose, smooth on the taste and with a pleasant finish. At roughly $55 a bottle, you can’t go wrong. Oban 14: My friend, Zach West, introduced me to Oban. From the first glass, I could see why. This is the whiskey people should be given when they’re introduced to whiskey. It’s light in color, neutral in taste (goes with anything) and lacks the “burn” people associate whiskey with. There is simply nothing not like, including the price! For only $50 a bottle, you get all that! 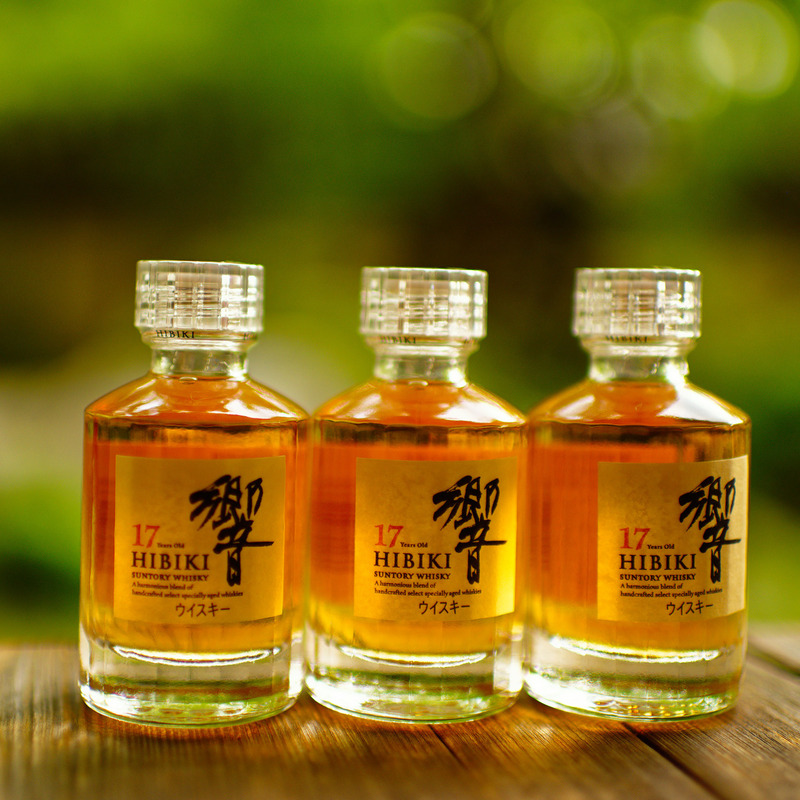 Ichiro’s Malt and Grain: Not a lot of people know about Ichiro’s whiskey. Google Ichiro Akuto to learn more. The Malt and Grain product, is a marrying of his whiskey with whiskeys from across the globe, to create a perfect blend. Heck of a story, right? It’s a heck of a whiskey too! Fruity, floral and smooth, this is one great tasting whiskey. This might be a little harder to find and will set you back $125, but like I said at the beginning, I’m focusing on value and this is great value. Very Old Barton: I was persuaded to visit the Old Barton distillery by a friend. She raved about it. So, I visited. She was right. Let me get this up front, Very Old Barton costs $20 a bottle. Yes, $20. Why it’s only $20 is anyone’s guess. It’s a fantastic bourbon. High West A Midwinter Nights Dram: What is this whiskey? Well, it’s complicated. Technically, it’s just their Rendezvous Rye. But, it’s then finished in port and French oak barrels. Similar to sherry, a port finish offers a certain sweetness to a whiskey. I snatched this bottle up from the High West Distillery in Utah. At $90 a bottle, I had high expectations. I was impressed. Sazerac Rye: This is the perfect whiskey for making cocktails. The Sazerac Rye is fine with a cube, but shines in a cocktail. I was once a Bulleit Rye or Basil Hayden cocktail guy. After having Sazerac Rye, that all changed. Full of flavor and the right amount of spice. This is a great choice for reminding you what a good whiskey cocktail should taste like. Oh and it’s only $35 a bottle! Angel’s Envy Bourbon: At $45 a bottle, you’re getting one heck of a unique bottle, a refined smooth finish (thanks to the port barrel finishing) and enough punch to remind you that you’re drinking whiskey. I find it to be spicy, but balanced, with a great nose. One of the few whiskeys, in my opinion, that benefit from a drop or 2 of water. Knob Creek Rye: Dark and rich, like maple syrup, in color, with a good, but not great nose and surprisingly butterscotch/toffee smoothness on the palette, this rye was so much more than I expected. And, at $35 a bottle, it’s a steal! That’s 10, folks. You should be able to score these at your nearest bar, liquor store or online. 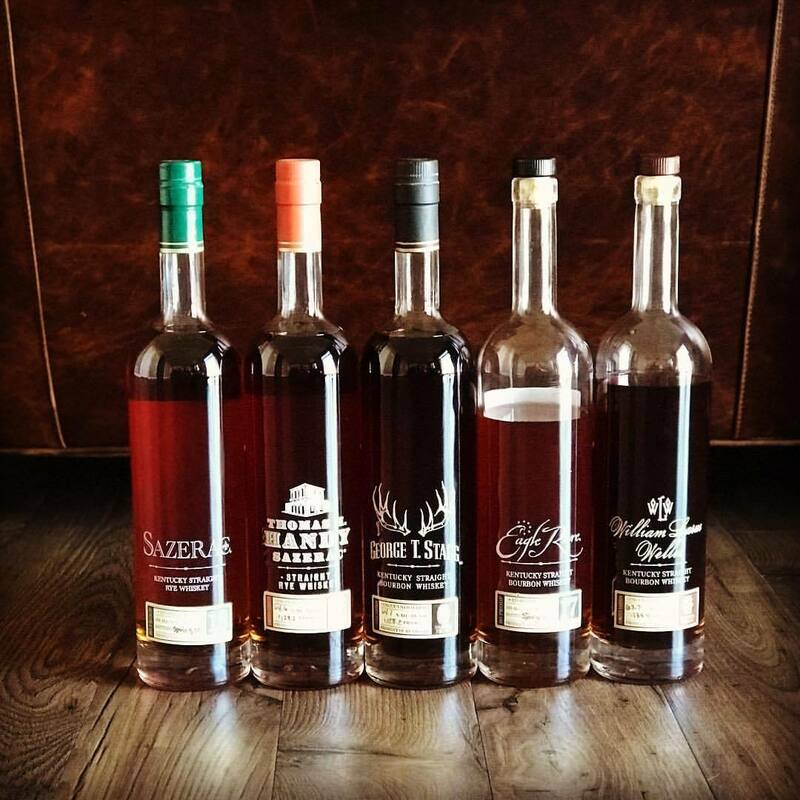 I would like to add, that if you’re willing to spend some time hunting and/or opening up your wallet, here are 5 other whiskeys to check out: Yamazaki 18, Willett XCF, Blade and Bow 22, Old Pulteney 21 and my personal favorite, Parker’s Heritage Promise of Hope.